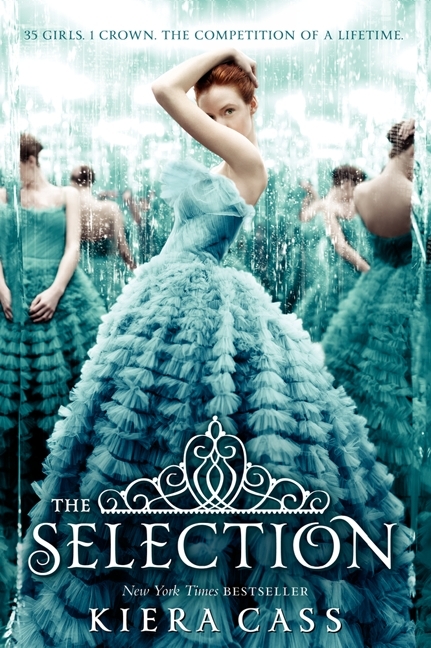 Publisher’s summary: For thirty-five girls, The Selection is the chance of a lifetime. The opportunity to escape the life laid out for them since birth. To be swept up in a world of glittering gowns and priceless jewels. To live in a palace and compete for the heart of gorgeous Prince Maxon. My take: Loved it! Almost immediately when I first started listening to this book, I knew I’d like it! I thought the romance between America and Aspen in the beginning of the book was sweet, and I thought right away that I’d be rooting for their relationship. But when Aspen started telling America to enter The Selection and then when he broke up with her, I was a little irritated. For a while, I gave him a break and took into consideration his insecurity about being unable to care for America, but I got over that really quick, and then I no longer cared that he was insecure…he was pretty much forgotten in my mind. But as soon as Prince Maxon was introduced into the story, I was won over! Maxon was probably a huge factor as to why I forgot all about Aspen. There were so many moments throughout the story where I grew to like Maxon more and more. And even though America was unworthy of his affection because she kept turning away from him, I still was rooting for their relationship throughout the story. I kept hoping that America would realize that she should be falling for Maxon. Obviously, for me the romance plays a big part in this book but, of course, it needs to be because The Selection is a dating game…right? But it wasn’t just the romance that made me love this book. I loved the interaction between the ladies in The Selection and loved learning if they could be trusted. I was also interested in discovering the dynamics of the royal family because I’m sure they can’t all be good if the country is now run so horribly. Near the end, there was a complication thrown into the mix with Aspen, and I wasn’t too thrilled with that. But I knew it needed to happen in order for the reader to truly know if America will choose the right guy for the right reasons. And, of course, I immediately started reading The Elite as soon as I was done with The Selection. I loved every page of this book and highly recommend this book to whoever enjoys a good read! I can't wait to get the other books in the series!